This is a Prey guide. Here you will find details on the Kinetic Blast ability. The Kinetic blast is a typhon power of the energy neuromod type. With this ability, you can create a psychic blast that deals 40 damage and pushes away anything within 5 meters of the targeted area. Morgan can also yuse the ability as a kind of rocket jump similar to the Soldier in Team Fortress. Exploiting this means Morgan can reach higher, normally unreachable levels. 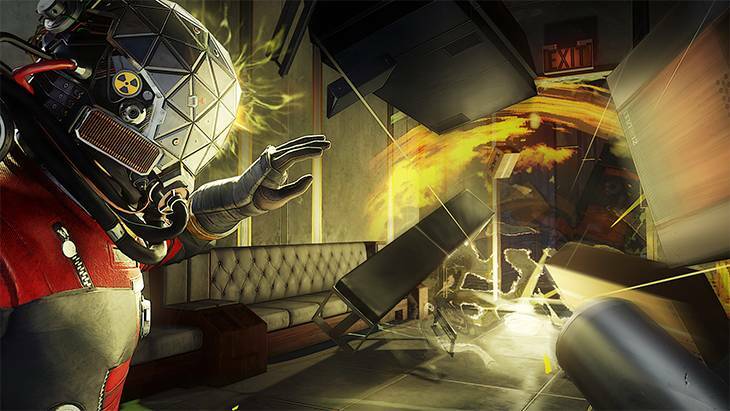 Kinetic blast takes massive chunks out of phantoms and other enemies. Stock up on Psi hypos and distance yourself from your enemy, then unleash this power on your enemies. This is also very useful against Cystoid nests. Create a physical blast that deals up to 70 damage and pushes away anything within 5 meters of the targeted area. Create a physical blast that deals up to 140 damage and pushes away anything within 8 meters of the targeted area.